Please stop by 8:15am-9:15am at Teach School during late start Monday April 10 as Teach teachers and staff are hosting a thank you breakfast! Thank you to all Teach parents/guardians and families for volunteering this year! Later that night, join Boosters for its only evening meeting at 7pm! The agenda includes nominations for next year's Booster Board and Officers. TGIF March 31! 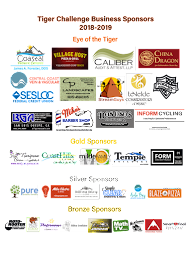 Tiger Family Lunch & Mixed Bag Designs Fundraiser! Join your Tiger for lunch and turn in Mixed Bag Designs fundraiser envelopes on Friday, March 31! Teach Booster Club Fundraising ID is 86015 and deadline for orders is Friday, March 31. Check out handy dandy tote bags, mobile device accessories, kitchenware, gift wrap & more! See some samples that are on display in the School Office. Teach Booster Club will earn 40% of sales! Catalogs are available in School Office and online here. Collect money with orders (no tax) and make checks payable to Teach Booster Club. Turn in envelope with money and a copy of your order form to School Office by Fri, March 31. Keep a copy of your orders to distribute your customer orders. ONLINE ORDERS Great option for out-of-town contacts as orders ship direct to them! Friends & family can order online here. Earn credit by having them add your student name at the top of the site or during check out. Online orders ship directly to the supporter (anywhere in the US) and shipping is free on orders $75+! 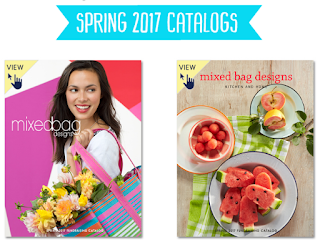 Mixed Bag Designs was founded in 2008 by 2 Bay Area moms, who had a lot of experience with fundraising for their children's schools and felt that there was an opportunity to offer useful products for our daily, busy lives. 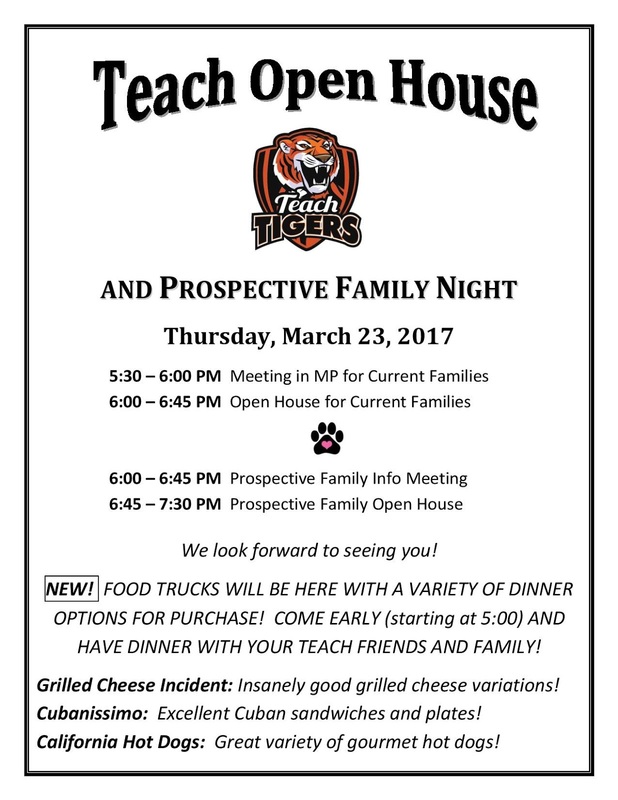 Mark your calendar as Teach Open House is Thursday, March 23! New this year is an option for families to buy dinner from a variety of food trucks to be parked on the blacktop by the lunch pavilion from 5pm-7:30pm! Yum! Check out what your students have been up to in the classrooms and the IEI projects in the Innovation Lab! Open Enrollment for 2017-18 Begins Today! Open Enrollment for Teach Elementary School 2017-18 begins today March 6th and ends March 31st. Teach Elementary School receives all of its students through the Open Enrollment process and the best way for families to learn about Teach is from our current and alumni families. What makes Teach Elementary School special for your child(ren) and your family? Spread the word! Check out the updated About Teach page and the below updated letter and brochure mailed out to District 3rd, 4th and 5th grade families last week. Extra copies in the school office and the digital version of the brochure are available to pass along to your friends, colleagues and neighbors! New this year are school tours on Mondays 10:30am-11:30am and a Thursday 1pm-2pm, so prospective families can view classes in action. Tour signs up are filling fast. Invite anyone you think would be interested to our Prospective Family Information Night and Open House on Thursday, March 23 6:00pm-7:30pm. In the event there are more requests than space available, a lottery will be conducted on April 13th 12pm at SLCUSD District Office Room B3.